Boxing Day is celebrated on 26th December annually, well not so much celebrated as remembered. Under Queen Victoria it was brought up to date and became a time for the wealthy to show their generosity by way of gifts to those of the poor. In fact so much so that it became a national holiday in England in 1871. It is a shame it is not still seen as a time to get out there and help the poor but as just a day to go to the sales to pick up a bargain. An Alms (charity) Box (thus it became boxing day) was placed in every church for the poor of the parish and the money distributed on Boxing Day which is also the Feast day of St Stephen. St Stephen was one of the first deacons and the first Christian martyr. In the Acts of the Apostles the name of St. Stephen occurs for the first time on the occasion of the appointment of the first deacons. Dissatisfaction concerning the distribution of alms from the community’s fund having arisen in the Church, seven men were selected and specially ordained by the Apostles to take care of the temporal relief of the poorer members. 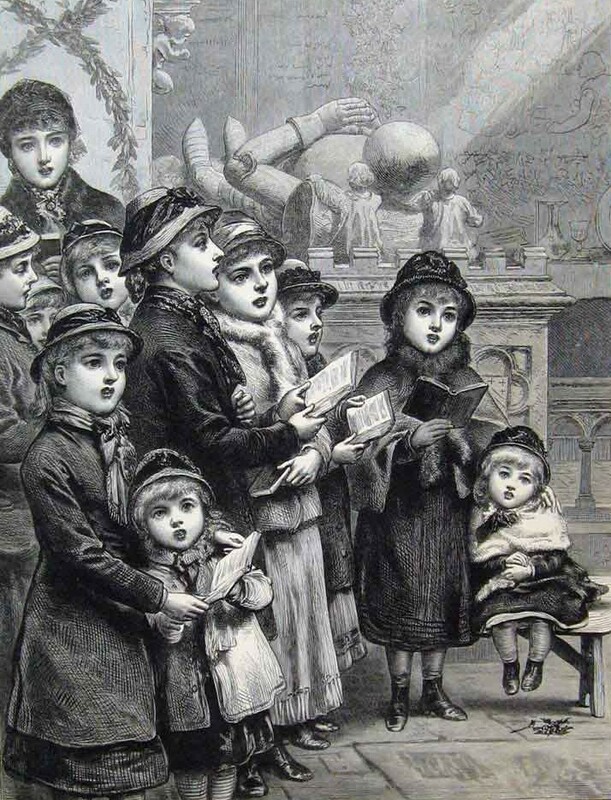 John Mason Neale and Thomas Helmore wrote the carol which was first published in Carols for Christmas-Tide in 1853. Neale was known for his devotion to High Church traditions. Neale’s lyrics are possibly a translation of a poem by Czech poet Václav Alois Svoboda, written in Czech, German and Latin. Well it was pretty bleak a few years ago here in London… actually truth be told when we have an inch or two the country grinds to a halt, we quite simply have no idea how to deal with snow of any consequence. Anyway snow, winter, Christmas and of course Christmas Carols…Christmas Carols celebrate the essence of Christmastide because despite everything else around it Christmas is still has the birth of Jesus at its centre. Now I was raised in an Anglican Church and remember going caroling with my choir of which myself, my brother and parents were all members. Of course we, the children always ended in the front line at the old people’s homes…they always that old people smell but were lovely old wrinklies who would supply us with mince pies, mulled wine for the adults and hot orange for us. But we also sang on street corners, in pubs and clubs and for the first time in years I actually heard so carolers last year…I brought back some fond memories. So carols have a special place in my heart and In The Bleak Midwinter especially, I love the lyrics and Harold Drakes tune. Sadly Rossetti never saw it published or set to music by Holst (whose best known work is probably ‘The Planets’) . In terms of success it made it into the English Hymnal in 1906 and Harold Drakes setting was named best Christmas carol in a poll of some of the world’s leading choirmasters and choral experts in 2008. If you get a chance go along to a candlelit carol service as it adds much balance to the all-consuming consumerism of ‘Christ-mass’.